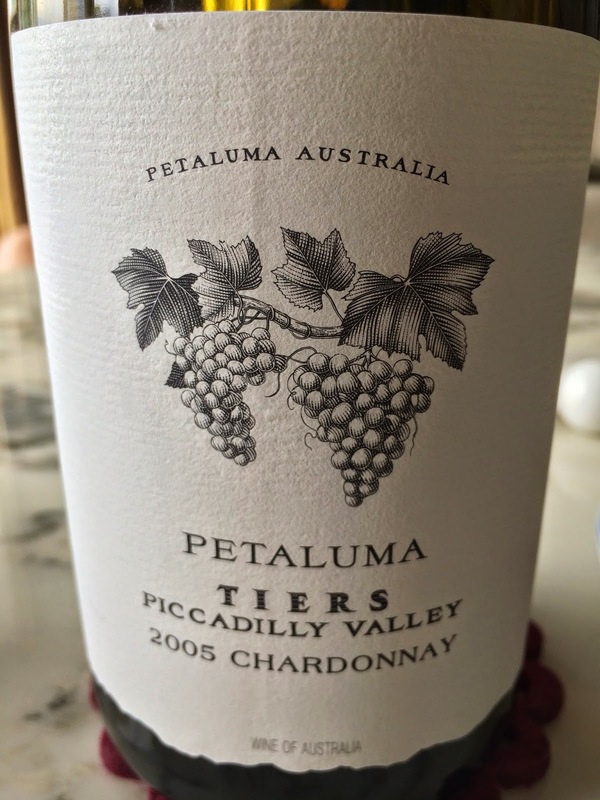 2005 Petaluma Chardonnay Tiers Vineyard - a little toasty, yeasty, definitely buttery, with lemon citrus. Pretty decent. 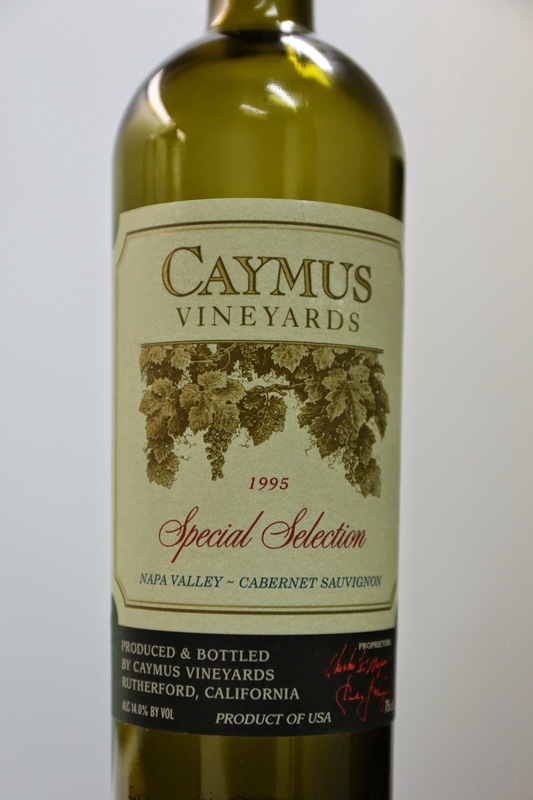 1995 Caymus Cabernet Sauvignon Special Selection - sweet on the palate. A little smoky, a bit alcoholic, and minty.